Let’s talk about public transport. Honestly. Preamble: This is the first of three posts I will write on the transport profession. My goals are to 1) encourage people, especially students, to consider a career in transport and 2) foster a better understanding of pertinent transport issues. Many regular readers of this blog will also be regular users of public transport. Using public transport regularly provides important insights into what works and/or doesn’t work. I personally would find it difficult to work as a public transport planner if I wasn’t also a regular user of public transport. Statistics show, however, that I am in the minority. Data from the MoT’s (excellent) Household Travel Survey (HTS) shows that in New Zealand’s major metropolitan urban areas, approximately 58% of people have not used public transport *at all in the last year*, while only 7% of people have used it on more than 20 days in the past year, as summarised in the following table (source). For people who don’t use it at all, public transport is likely to be something of a mystery; these people are less unlikely to understand some of the unique attributes of “good” public transport — such frequency and reliability — or to be aware of trade-offs — such as frequency versus connections. Why is this important? Well, in cities like Auckland that are seeking to grow public transport patronage from a relatively low base, many of the people who occupy upper management positions at Auckland Transport, Auckland Council, NZ Transport Agency, and MoT — who are making decisions about public transport — will not be regular users of public transport. None of New Zealand’s last three Transport Ministers, for example, have been regular users of public transport. I think this is a problem. So what can do about it? Well, I think the first step is for those people who know a few things about public transport to create an environment in which other people (who don’t know much) can learn. That is, we need to foster knowledge transfer. The GA blog is a good example of what can be done on this front; I am being perfectly honest when I say that — as a professional working in this field — I have learnt more from reading this Blog than any individual technical document. I think the second step is for people in upper management positions to be honest about the deficiencies in their own knowledge on public transport. Just like engineering, public transport planning is not something that can be learned overnight, or by talking with your friends over a bottle of classy Aussie red. Public transport planning is a specialist area of expertise, which requires a combination of interest, training, and experience. In the video below, a chap called Christof Spieler touches on many of these issues. For those who don’t know, Christof is a Board Member of Houston Metro, which recently implemented a new bus network modelled along similar lines (in terms of design principles) to what Auckland Transport is implementing. And perhaps most importantly, before Christof became a public servant he was actually a public transport advocate; he is someone who crossed the divide from regular user to upper (in this case executive) management. Non-users: Non-users are often the ones who make big decisions about public transport, who often have a hard time understanding public transport because it is fundamentally different from driving. Non-users also don’t realise that walking is a normal part of using public transport. Communication is necessary if we want to change the status quo: If you want to change people’s minds, then you need to frame the debate in a way that they can understand, and which reflects realities of public transport planning. Engage with people not about specific modes/routes/services, but with “imagining” the network. Emphasise how changes benefit people, e.g. provide examples of specific journeys they can understand as important. Entropy and reductionism in networks: Public transport networks tend to fragment over time, as routes are pulled in different directions to serve specific needs. There is a tendency for people to focus on small, anecdotal details rather than looking to actual patronage data. Data-driven planning processes: While data is useful for planning purposes, when it comes to communication “anecdotes beat data”. Attempts to make positive change often get undermined by anecdotes; public transport planners need to fight back with their own anecdotes. Enjoy your Easter weekend, and stay safe out there. My thoughts go out to all those affected by the recent flooding, who are now set for another lashing. Including the emergency workers, public servants, and contractors who are working hard (and often around the clock) to keep people safe and happy. Harrison, the transport planning industry needs new blood, so hang in there and some of those crusty old buggers with out-dated thinking will retire, die, or otherwise move on. Stu – in relation to your comments about users – it should be mandatory for politicians to be made to use PT instead of their silver BMW limos. We would have far quicker results to issues! you mean the crusty old buggers with full leather interior german cars (like pollies) whose transport planning focuses on motorways, expressways, bypasses, ring roads, road tunnels and road widening? Sorry forgot roads that noboby wants – the East West link. Harrison, one of the current PT planners at AT started out in the HOP card customer service centre so you’re in a good spot. I wouldn’t be surprised if some roles come up in PT in the near future so do keep an eye out. There is a big issue that affects transport planning just as much as gravity affects rocket science, and if you can imagine rocket science without gravity, this is exactly what transport planning is like and why it is such a failure. This relates to “economic rent” in land: in layman’s terms, “land prices and how they incorporate the advantages of location”. Everyone seems to understand that urban land is worth more than rural land, and many people seem to “understand why” in that they talk about trying to recreate the highest-value locations. such as Manhattan. The problem with “trying to re-create” this, is that you can’t work backwards from the “form” to create the high incomes that are actually the result of a particular industry type being located there, not a result of the “form”. The “form” is also the result of a particular industry type being located there. It is “land economics 101” that income levels are linked to land prices: the more that local people can pay for space, the higher the price will be. This insight is what led to Marxism and Georgism, because it seems unjust that a large share of “income growth” is captured by land owners who “do nothing”, in contrast with entrepreneurs and labour. However, a systemic change in the nature of land rent, and a series of massive insights into this that were developed and accepted from circa 1900 to 1950, have unfortunately been forgotten. This is that when transport is flexible and rapid enough to enable access to sufficiently abundant quantities of land, the magnitude of “economic rent” is diminished. Between the time that Karl Marx and Henry George were obsessing about the injustice of this, and the 1950’s, the REAL (income related) price of urban land in US cities fell by several orders of magnitude, with other “first world” countries following the trend. This is because roads and automobiles exponentially increased the amount of low value (rural) land that could be developed, and this destroyed the ability of the privileged incumbent land-owners / landlords in the pre-automobile city to “gouge”. “Economic rent” changed in its nature from “monopolistic” to “differential”, if you want the technical terms. “Differential” means that the prices are derived from the CHEAPEST land available, plus a premium for agglomeration efficiencies (via incomes) and for amenity. Bertaud has some fascinating insights about motor scooters having the same effect today in countries where they are still mostly unable to use cars. This effect was non-controversial and appreciated – it resulted in mass democratisation of the ownership of decent homes, and was referred to approvingly by the social reformer Charles Booth; the architect Frank Lloyd Wright; numerous planners like Howard, Geddes and Unwin; and numerous economists like Alfred Marshall, Robert Murray Haig, Homer Hoyt, Robert Ratcliffe, Lowden Wingo and William Alonso. Public transport never had this effect because it only adds to urban land supply in small volumes – the land added is in “ribbons” and its effectiveness diminishes rapidly relative to distance from the city. But a disruptor of this beneficial effect has been introduced in the form of urban growth boundaries (and there are other proxies for these that have the same effect). What the economics and planning professions are missing today, just as seriously as rocket scientists forgetting about gravity, is that cities economic land rent – i.e. land prices relative to incomes – have suddenly inflated 30-fold within a single property cycle after decades of stability – and worse, in UK cities where planned rationing of land for urban growth was introduced in 1947, the inflation has been perennial, to the extent that the inflation is now in the range of 100-fold to 900-fold. This is the return of the “monopolistic” land rent that so outraged Marx and others. It represents a “gouge” of “the maximum that people can be forced to pay” for space, just as the price of food could be grossly inflated if it too was rationed. The above is the urban land rent big picture; but at the level of “individual locations within the urban economy”, if public transport provision is “valuable” then the local property prices reflect this, just as they reflect any amenity (the quality of local schools is the biggie). Unfortunately this has the effect of “pricing out” the great majority of people who would “like” the location; this is a harsh economic inevitability. The best working solution to this, anywhere in the world, can be found in Japan. From the early 1900’s, urban area growth was based on a highly competitive, cut-throat process where multiple private enterprises developed both commuter rail and subway systems, AND the property served by their own system. They adopted the commercial tactic of attracting tenants by trying to be CHEAPER and better-value than their numerous competitors, including negotiating with “trip attractor” commercial tenants. These numerous integrated transit-and-property enterprises still exist and still compete with each other in the same way! Nevertheless, there still came a time in urban evolution where car travel surpassed transit as the dominant mode in Japan. Other examples of integrated transit and property enterprises such as Hong Kong’s, tend to be a single monopoly which relentlessly price-gouges (i.e. extracts monopolistic economic rent) on their property without regard to having to “attract” anyone. This is why Hong Kong can be the densest developed city AND have the highest housing costs. See my point: transport planners who don’t understand these realities are like rocket scientists who don’t know about gravity, and therefore make all sorts of wild claims about what magnificent outcomes lie ahead, from their plans and proposals. So what you are saying is that a decent PT RTN out to Kumeu will result in landlords increasing their property rents? Thanks for reading and thinking about it, Dgd. Any such public transport route will suffer from being a victim of its own success. Its patronage and the ability of landlords to increase their property rents, and site owners to reap greater capital gains, are two ingredients to the same success, with the rent increases being a natural cap on the potential for PT patronage. This is non-controversial in urban economics 101. The principles are as old as urban economics itself. Phil, how do rent increases reduce potential for PT patronage? There will still be people living in these properties. If anything higher value land will increase the chances of it being divided up into smaller plots meaning more people would be able to use PT. So we should spread out, having no urban limit to the edges of the whole of NZ then or introduce forced birth control? OK seen your reply below to Patrick now, think I know what you are saying. Thanks Grant, I’m replying here because the thread is less skinny. A beautifully simple one-liner on alternative solutions comes from Anthony Downs (2004) “Still Stuck in Traffic”. You have a picture on the living room wall that looks to be in the wrong place. Do you move the wall or the picture? You want to reduce energy consumption. Do you tax energy use that will change people’s behaviour right away, or do you introduce top-down prescriptive plans that attempt to change urban form? And that will take decades to make a difference? And that will forego myriads of ways individuals can utilise to minimise energy consumption? You want to more efficiently utilise infrastructure and avoid having to over-provide it. Do you start to correctly price the use of it and correctly fund it, or do you introduce top-down prescriptive plans that attempt to change urban form? I do recommend a 1964 essay by Mason Gaffney entitled “Containment Policies for Urban Sprawl”. If some people end up living more sustainably at low density, why do we not want this? Is it the sustainability we want, or not? Road use should be variably priced, taking into account time of travel and congestion levels. When it comes to “public transport”, I suggest using technology to provide a per-person-km subsidy to anyone who “carries someone else from A to B”. I guarantee that the relationship between the subsidy level and the “utilisation rate of the service” will be vastly superior to the status quo. If we must have fixed-route mass public transport, the benefiting property owners should not reap zero-sum capital gains from its provision. “Rates” specifically targeted for public transport provision should be assessed based on location relative to public transport routes. They should be based on land value, not improvements, so as to incentivise redevelopment and addition of floor space. The principle should be recognised, that value accrued is far greater at the predominant destinations of PT trips, not at their origins. Replicating the best systems (i.e. Japan’s) would require compulsorily acquiring Auckland CBD property and integrating its ownership with the commuter rail system – furthermore, property beyond the existing urban fringe but on the main rail lines, could be acquired, integrated with the commuter rail system, and developed on the basis that property rents cover the capital cost of development. That is, no “economic rent” gouged just because of the location. The more demand, the more floor space provided at anchored rents. If compulsory acquisition of CBD property is politically impossible, then one or more competing nodes should be developed on the greenfields land on the rail routes, integrated with the commuter rail system, to provide competitive tension with the existing CBD and suppress rents. There are plenty of examples worldwide, of completely new “CBD’s” being developed; Shanghai, for example. Often there is the advantage of proximity to the airport and greater ability to integrate the best aspects of urban design, which is impossible with the existing heavily-built locations unless one has the sort of powers of acquisition and demolition that Baron Haussman had over Paris in the 1800’s. 1. “Roads and automobiles exponentially increased the amount of low value (rural) land that could be developed,” To be more accurate, “better transport exponentially increased etc.” What technology that better transport used has varied over time. Melbourne was largely a suburban house-and-garden city by the 1890s, based on railways and tramways. After WW2 the favoured technology for better transport became automobiles, for various reasons which were then reinforced by public policies. Now that we’ve had 50 years to observe the detrimental side-effects of excessive car-dependence in big cities, the question remains whether those policies are still appropriate and how they should change while hopefully preserving wide access to affordable home-ownership. 2. You refer sometimes to land prices and sometimes to housing prices. Remember, they’re not the same thing, depending on the density of development. 3. The increasing price gradient between amenity-rich inner areas and amenity-poor outer areas of cities suggests a need for positive discrimination to improve the amenity of outer areas. That would include planning greenfield development in a way that makes it possible to provide good public transport, and then actually providing good public transport. The possibility or not of providing good public transport is very largely decided, permanently, by the initial subdivision design as well as wider area design including location of regional centres that the PT network can focus on. Great comment Phil. Very challenging and very logical. I find it interesting, because the post talks about planners not understanding PT users and it would seem they also ignore the rational actions of land owners. Unfortunately, I don’t think we shall see any change any time soon. Is he the same Phil Hayward whose various other submissions on topics like the unitary plan and the RMA contain such doozies as claiming any council spending on PT is a waste of money, that the National party’s adoption of Soviet style central planning is the main cause of the housing crisis, and has long guest posts on Slater’s sleezeball site for cranks and outliers with titles like “The complete and utter uselessness of intensification”? If so, then I think I can vouchsafe that Mr. Hayward is just yet another member of that club that provides us with an apparently inexhaustible supply of stalled mid-career middle aged Pakeha neolib wingnuts and windbags. -Massive investment Public Transport, particularly rail. -Huge taxes and restrictions on private car ownership and use. Yet he opposes all these things in practice. In short; a confused fellow, at best. Ad Hominem is not discussion or debate. I appreciate the chance to put a complex argument, to people who apparently are passionate about the subject. Mainstream discussion forums and letters to the editor are not the place where one can do this. You both misunderstand and misrepresent me. I am not praising or condemning one urban form or another, I am pleading for understanding of how these things evolve. Of course I admire Japanese cities and despise the idiocy of the utopian central plans that Kiwis are being suckered into accepting. Most of the “massive investment in public transport” in Japan has been from the private sector, seeking honest returns on capital invested, in property rents, and in fare revenue. Can you not see a crucial difference between this, and what I oppose? What I oppose is not even so much “subsidies” from taxpayers, it is the fact that those subsidies represent a wealth transfer to the property sector, even as the gains made by the property sector negate the intended “intensification” and hence the wished-for increase in PT ridership. I have NEVER opposed deregulation of restrictions on height and density, I am against these regulations because they prevent the free market from operating properly. Kindly stop misrepresenting me, I have pointed this out to you repeatedly. I routinely condemn the absurdly low density of suburbs in some US cities where minimum lot sizes of 1 acre and larger are common (in contrast Auckland isthmus has 7 properties left that are larger than 1/4 acre). I admire Japanese cities also for the sheer regulatory freedom regarding most development, the mixed uses of land, the quirky housing styles, the cost-effectiveness, etc. I am not even opposed to “huge taxes on vehicle ownership and use”, in fact I have consistently stated that this is the correct approach to minimising the externalities, rather than prescriptive urban planning with its unintended consequences and its significant harm. Even under these regimes of “pricing of car ownership and use”, they remain the dominant mode in developed nations like Germany and Japan, for reasons of economic inevitability. I am not even opposed to compulsory acquisitions of property and plan-based targeted assessments of property tax, as means of overcoming the land-rent dilemma. Outside of the Anglo world, compulsory acquisitions are less controversial, which is a significant reason why planning works better in, say, European countries. The mere existence of the threat of compulsory acquisition guarantees that incumbent site owners will tend towards co-operation with the plan. You are behaving like a rocket scientist having the existence of gravity pointed out to him as the reason why his rockets keep crashing, but who doesn’t want to know because he has made his mind up that the motives of the person trying to point it out, are tainted in some way. This thread is headed “let’s talk about public transport honestly”, so I thought it might be worth giving it a go again. But even regarding today’s comment alone, even without the back-story of discussions between us, it is obviously you who is confused, not me, hence your misrepresentations. So what do you propose is the solution or better way forward for a better outcome? Central planning in New Zealand most obviously is done by NZTA; they preside over an almost purely Soviet-style tax and spend centrally planned system that forces one transport mode and one urban form on the entire nation. Especially when combined with restrictive zoning and building restrictions and other subsidies to drivers from property owners, like parking minimums and rates funded roads. All transport in NZ is subsidised. Either oppose all subsidies or none. You have a long and dull record of trying to shout down the small corrective to our road subsidised inefficient urban form that is public transport. I recommend you try to be more consistent. Highways and automobile based urban expansion was not based on nefarious motives, the literature mid 20th century is clear about the consensus of what a social good it was relative to the pre-automobile norm of renter-rentier class divide, rent extraction, crowding, and social problems. It is a myth that NZ is unusually generous with highway spending; our urban highway lane-miles per capita are around 1/2 that of Europe and 1/4 that of the USA. I advocate better pricing and better connection between “value captured” and the funding of transport infrastructure. Motorists should be paying a lot more, but they should be getting more road space too. While Europe funds a lot of public transport, they also still have a lot of revenue from drivers (much more revenue than we do) spent on their much superior (to ours) road networks. It depends on how much more they are prepared to pay. Given we don’t have a market clearing road pricing system, we simply don’t have the revealed preference data to make this call. I agree with you we should start charging properly. Until we do that we don’t know how much road space for motorists will be optimal. However there have been some studies done in NZ, for example a study on tolling of an AWHC. It found that if you priced the harbour crossing (old and new) you would reduce traffic to below the capacity of the existing crossing before you got anywhere near a price required to pay for the new one. And that is only considering funding the new crossing, not the appropriate price for use of the existing crossing and rest of the road network. Indeed the study showed such sensitivity to pricing that it calls into question virtually any new road spending in Auckland. Then I shared it on the Market Urbanism Facebook page. Phil’s article in a few hours got 5 ‘likes’, so there is a community out there that understands what he is saying and agrees with it. I think Phil touches on the real issue we all should addressing. That is mobility and affordability and how transport policy can help this. This blog has plenty of enthusiasm for train and bicycles – but it is never supported by any real data about how this might help reduce housing costs or improve travel times overall. The love of trains/bikes (or the hatred of cars) seems to prevail irrespective of how bizarre the proposals become. And should someone point out the lunacy of it then they are a “wingnut or windbag”. Phil has explained that the provision of PT will likely just put up housing costs. There is little support for densification or public transport. Bus patronage is falling (apart from busways) and all surveys show a preference for stand alone housing. People actually dont like the things you are proposing here. Why would you want to walk in the rain to get to a bus/train full of people you dont know. Then at the other end get wet again. Its horrible. “There is little support for densification or public transport” ???? Haven’t you been following the recent patronage trends? They are up, up, up. Lots of people walking to a bus/train full of people they don’t know, etc. It’s happening, even if you think it’s horrible! Well, with intensification comes a strong need for the public realm to deliver high quality urban open space. Of course this must especially mean improvements to every street; better more continuous footpaths, on-street cycleways, and street trees by the thousands. But also well designed frequent smaller parks where ever the opportunity comes up. And the Land-Lab design is very good, and not simply gardening, it’s an intensive park if you like. It’s hard to imagine a more patronising post when a nobody whose transport knowledge is limited to what his mates think of public transport opens up at the transport heads. You’re partially right though, they do lack knowledge but it’s not in the realm you’ve suggested. The supposedly car focussed approach we take is anything but. Evidence shows that streets move freely when traffic obstructions are removed. Yet in Auckland we take directly the opposite approach, introducing all manner of obstructions to our roads. In doing so we create congestion and create unsafe outcomes for all road users. PT has a role to play in our transport system but it’s role will always be limited by it’s inflexible nature. The privileged who live in or close to the inner city are always going to have better access to the PT system. It is really important that contributors to this site think in terms of a transport system that incorporates all forms of transport, not PT vs car as is the current line of thinking. I’ll be more than happy to help educate the likes of Stu Donovan and Patrick Reynolds to upskill your knowledge, just let me know when you’re ready to learn. I can say as one (id assume, happy to be wrong) one of the few readers with an actual qualification in planning and transport that Stu, Matt and Patrick are almost always spot on with their knowledge of what makes a good transportation system. Yes it is about choice of modes, but it is also about making wise choices in where you spend money and structuring the urban form around transport infrastructure (ie TOD). Stuart is a professional transport consultant with postgraduate degrees in both engineering and economics, not to mention over a decade of transport industry experience under his belt. Very rich of you to talk about patronizing. What are your qualifications, your experience, your skills that you can speak of peoples lack of knowledge? What is it you do that makes you a better judge that an industry professional, what is it you are hoping to teach Stu? Yes Real Mathew – Who are you and what are your qualifications and experience so that I as a layman, feel I must heed your constant put down of the general tenor of this blog, which so constantly seems more than acceptable to me. Unless you are willing to provide this information I cannot be expected to take your views seriously. Sounds like every one of your posts, TRM. In realpolitik as in life, every action creates an equal reaction. When a certain former transport minister and now current finance minister signed off on wealth destroying mega-motorways; in contrast to a hypocritical hands off approach to the unfolding housing crises; which has become his government’s legacy, the role of Transport Blog and its key commentators became clear: to act as the rational economic counterpoint to the irrational economic policies being implemented. Transit is by no means inflexible and like roads have a hierarchy of access and connectivity from feeders to spines. Our Transit system has also evolved (and the CFN 2.0 also demonstrates) to allow transit movement within or between our sub-regions of Auckland rather efficiently. The South Auckland Bus Network backed up with the Southern and Manukau Lines allow for pretty flexible movement within Southern Auckland. Okay missing the link to the Airport but that is on its way sooner rather than later. Also around half of South Auckland commutes within South Auckland (MoT 2013) so sure about the inner City. Oh and did we forget the Manukau Bus Station which is the central node for most of the bus routes in South Auckland much like Britomart is for trains and regional busses. The Auckland Plan is under refresh and while the City Centre continues prominence the recognition of the Metropolitan Centres and the big industrial complexes is making its way through the mix. All which will influence transit patterns for a long time to come. There are gaps in our Geo-Spatial and transport planning but people like Stu et al are doing what they are well paid to do – fill them in rather than go dig a hole. Transit is inherently less flexible than individual private transport unless the number of transit routes is equal to the number of uses which is impossible unless the entire population is a transit driver or automation is involved. That doesn’t make it less useful than private transport. But it does mean you should avoid statements that are obviously flawed. Is it less flexible, is it less flexible when part of an integrated transport system? Is it less flexible when we apply congestion matricies with private transport? Is it less flexible when we apply externalities such as productivity, health and happiness? Is it less flexible when frequencies allow walk up timetables for the majority of your urban trips? I’d say transit is a hell of a lot more flexible when I want to move around at 5pm on a weekday. It is usually quicker and I don’t have to think about where to park my car. 8am on a Sunday and my car is much more flexible. Good transit drives better development option and land use. It can also lead to far higher walking and cycling mode share as part of a journey. These are all positive things for a city. The streets shouldn’t be moving at all, they are generally good just where they are. I assume what you mean by that is vehicles moving quicker, not streets. If that is indeed the case then that depends entirely what your priority is, moving other people at speed through your neighbourhood, or making your own neighbourhood easier to navigate, say crossing the road etc. I would prefer my neighbourhood to be the latter but others may not. Roads and streets were around a long time before cars. I can only dream of being some kind of assistant to the Transport/Urban planners…Sadly I lack the knowledge in Maths so I’m doubtful I can gain any qualifications on it. I will always be on here though supporting GA.
A good head and creative flare of your own kind can be some of greatest assistance you could offer to the wider profession. There is a new development in Otahuhu and I wonder how it was approved. There are about 6 rows of 2 storied attached townhouses and about 10 in each row. They are closely packed and so the views are mainly of the neighbour or the sky. There is little grass and no trees but a lot of concrete. To me it would have been much better to have say 6 x 5 story apartments and more outside social areas. At least they should be 3 stories. Why is the council so strict on approving many apartments? First, good policy analysis requires zero experience. Nobody who said the US needed to land on the moon had done so, yet look what they achieved. Clausewitz wasn’t exactly a blooded veteran. Neither was Fuller. Correct: Crying about the nature of policy-makers won’t change anything. That’s why I’m here posting information to help managers understand some of the issues they are being asked to make decisions on. OK? One of my fondest memories at university was about freedom and the exchange of ideas. Unfortunately now a few people can control many. They do this by shutting down the news media, controlling information,not giving all the facts and not informing the people, making decisions that are against the wishes of the majority. We should all do our best to keep NZ democratic. For all of the planners at the council, where are the long term plans for rail, central, north, south, east, west? Where are the timelines for implementation? Where is the incremental progress, is an extension of one station every two years too hard? I guess so, they can‘t even manage the same with level crossings. The planners don’t formulate long term plans, the politicians do that. AFAIK planners only produce a plan that best fits the politicians’ instructions regardless of what is best fit for purpose. Planners who wish to remain planners will eventually sell their conscience to politicians so they can remain employed. The proof is there to see in the plethora of failed and failing ‘planned’ projects, see them scramble to plan even more fixes for lunatic schemes such as the waterview roading scheme before it even opens. Basically as a profession it is corrupt otherwise how could we have East West link etc. Transport planners that is, although Town planners don’t look much better. Part of the job description for all transport planners and those with responsibility over rail, bus, ferry, cycle, should be the requirement to make 80% of their commutes via the mode they‘re working on. Yes, but at least they are looking into making that road a lot more suitable (they were getting feedback on it at the station opening). I’ve also seen people puff and pant walking up the huge height of stairs from the rail platforms & complaining (though there is lift, it’s more walk in first etc). I guess they will get more fit with time? Escalators would of been good for encouraging use, but I guess $$. 3. maybe, when I’m ready, rearrange my location and lifestyle so I can get rid of the car, save a lot of money and be healthier from all the incidental walking that comes with using public transport. At present I live in a city where 1. is the only option. That’s not very flexible. And of course, the folks who are big on the flexibility of cars almost always ignore the significant proportion of the population who don’t have ready use of a car – the poor, the old, people without licences for health reasons, at-home people in one-car families where the partner has to take the car to work, teenagers who don’t want to be dependent on mum’s taxi. In the car-dependent city these people are seriously deprived in their access to the city’s goodies compared to everyone else and, often, compared to their own grandparents, given the hollowing out of public transport services and the decentralisation of activity centres. Driving only exhibits its ideal ‘flexible’ state in car ads. In practice in thriving cities, everywhere, it only offers the extreme inflexibility of being stuck in traffic congestion and high user and public cost. This is a function of its spatial inefficiency. 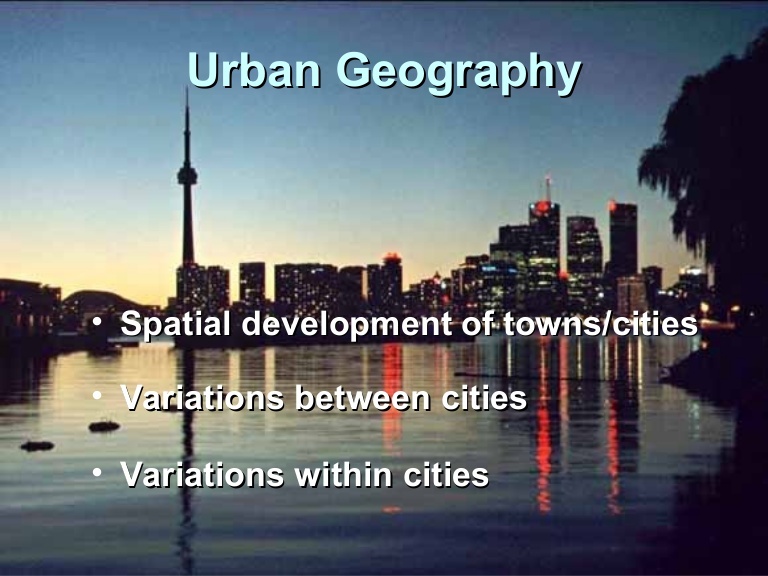 And is a permanent urban condition (but not a rural one). Transit as we are used to it in the Anglosphere indeed offers a second rate inflexible experience, but this is not the case in Asian and European cities, and is not a function of its nature but of its application in badly designed and run cities. No one could call the Transit systems of Zurich, Vienna, or Tokyo, inflexible. We have shown that AKL too can affordable have a full joined up Rapid Transit Network that will offer the user access to pretty much the entire city with a single transfer. This offers choice and flexibility to complement the widespread road network, and offers the best chance, along with price signals, to enable improved flexibility to our huge driving networks. So, to make claims about the value of modes it is important to be clear whether you are describing idealised states or actual ones. In perfect worlds all modes offer ‘flexibility’ to the user, and in inadequate one none do. Additionally, if you want to really experience freedom while in motion; get a bike! Growing up on the North Shore one can hardly call driving flexible. Go somewhere over the harbour bridge? Can’t do that, too much traffic. Drive in the afternoon between 4 and 7pm? No way, the motorway is completely clogged. Drive up my street at 3.30pm, can’t, school traffic has brought it to a standstill. Drive north for the eastern weekend, ooh better allow an extra two hours for the queues. There’s also the argument about PT serving only those “narrow ribbons”. Which is true, but it’s an artefact of our spatial planning, not an inherent problem with PT. – the street design further limits how far people are willing to walk. The original green blog calls this ‘walk appeal’ ⁽¹⁾. Look at the Smales Farm station. On one side you have the motorway and the golf course, so nothing of interest at all. On the other side, the closest town centre (Milford) is almost 2 km away. Closer by you have Westlake Girls, the Smales Farm office park and the hospital. The latter two are heavily car-oriented. Suppose you get of the bus at Smales Farm and you want to go to the hospital. It’s a short walk, less than 10 minutes. But here’s the problem: When you exit the station, you have this void between Westlake and Smales Farm, with its tangle of driveways. You’re completely out of place there as a pedestrian. Then you have to cross Taharoto Road. Same problem. Then you’ll find the entry of the hospital on the far side of a similar mess of driveways and parking lots. During those 10 minutes you’re merely an awkward intruder in an area designed for cars. Many people won’t normally consider doing that walk (which was very obvious during the consultation for the new network). Another point Phil mentioned is the possibilities to build “second CBD’s”. We have had plenty of opportunities. So what did we get? Westgate. Albany. Silverdale. I think building a working public transport system is the easy part. Making people understand how it works is not that hard either, assuming we don’t have warts like the current mess around Britomart. Where I grew up there’s absolutely zero hope of ever getting around without a car, and yet, when visiting a city like London or Paris, taking the metro just makes sense. The hard part will be dealing with the land use patterns, which have mostly been built under the assumption that nobody would Ever Have To Walk Ever Again. The CFN is only the very top layer of Transit there will always be the feeder buses and increasingly better cycling and walking network. But remember humans have agency, and do and will change as their options improve, as we can see by the startling rise in uptake in Rapid Transit in AKL as it improves, and the boom in inner city living. We have any number of 2nd CBDs, Albany, Manukau City, etc, all from the same era as Phil’s thinking, the sprawl and dispersal age. These have all struggled, may only now be coming right, but very much as secondary centres, not rivals of the centre. Now we are in a new era, the true centre city is a magnet again, not a dank and crumbling wasteland to be fled. The economics of agglomeration are well and truely back in play, as are the environmental imperatives to consume less of this planet each; to share more and hoard less. You are right, urban form once set, is hard to change, but cities are, if nothing else, engines of change, and retrofitting walkability and sustainability into the fabric of our inefficient and vapid late 20thC built places is the great urban project of our age. The return of the power of proximity. Happily it is its own reward; both economically and socially. Phil’s views are just a dull echo of last century’s thinking, ever more irrelevant each hour. “increasingly better cycling and walking network” → I think you’re too focussed on what’s going on on the isthmus. In most places across the bridge you’d never guess. Think of what you’ll find right across the bridge after the skypath gets built (spoiler: the Northcote Point residents successfully fought off cycle lanes). I’m also not sure which parts of either Albany or Westgate are inspiring such confidence. Westgate and Albany, lol, you are determined to judge change by the performance of the worst places. It’s not so much about every last place, as the trend. Fixing the places that can be fixed first is the only possible way forward. It is likely that Westgate and Albany will get worse before they get better, sometimes the best thing individuals can do is when faced with obstructive communities to stay away from them. Seriously, there is always an element of self sorting in times of change. Every city has its dreary lost places, and AKL has plenty of these. Additionally major changes like cities are currently undergoing are always unevenly distributed; as you observe some people will fight for the status quo regardless. Read the map. Albany may be lost for now, fair enough. Westgate is where those B and G lines converge. On the other end, 3 lines converge on the area around Constellation Drive. It only makes sense to have anchors in those places, and they had better be more than a few giant parking lots. It may be far into the future but we have a lot of work to do. Successful centres? One is Takapuna, but this one has been there for a long time. The trend is still: tough luck, we ran out of great places over half a century ago. And self-sorting? You can’t be serious. Where do you want people to self-sort? In central suburbs like Ponsonby or Grey Lynn, you’ll find large amounts of land zoned for low density housing, or even single housing. In other words, reserved for the super rich. Meanwhile the apartments go into those wastelands like the one between Albert Street and Union Street. The trend here is: if you’re super rich you can buy one of those large sections in Ponsonby, and enjoy those new cycleways and public transport. If you’re merely rich, perhaps a bit further out, in Takapuna or Birkenhead. Anyone on a more average salary will be stuck in either those little apartments in whatever miserable corner of the CBD, or out in the sticks facing a monster commute by car. The trend: self-sorting happens by $$$, not by preference. Unfortunately. Yes we see delivering real Transit options to those ‘lost places’ as vital, and it as our role to advocate for it. But beyond what are you demanding we do? Fix landuse, invest in anchor projects, and solve dwelling unafforablity! Cities are processes as much as things, change happens when critical parts shift. Yes all of those things are necessary, but we still see the most useful and attainable change we can achieve in AKL is to get the Transit and Active Networks back engineered into it. Why? Because it changes everything, and what it doesn’t change directly, like planning regulations, it enables to be more easily changed. And because there is actual public money, and actual public institutions can can deliver this change. It is not a fantasy. And I am serious about self sorting. And no I don’t mean Ponsonby, but the next Ponsonby. The currently undervalued unfashionable place with potential. Ponsonby wasn’t always Ponsonby and Brooklyn wasn’t always Brooklyn. Cities are change. We all have to balance the need for realism with the very real human tendency for status quo bias. Being stuck in the present. The now is not fixed, nor was it even inevitable. People made it, so let’s make something else….? Yes, its true. Ponsonby wasn’t always Ponsnobby. It was full of ignorant, pacific islanders living in slums, who got conned out of their homes and sold new houses in Glen Innes. Now the same is happening in GI. Yay gentrification! I read a very interesting article recently. Basically, gentrification/urban renewal is fueling class divisions. Pockets of wealth surrounded by decay. Of course in NZ it isnt happening to the same extent as in the US, but I see it happening around me. White people moving in and my brown neighbours getting kicked out and end up living in vans. Where do the poor people go? Caravan parks? They literally can’t afford to live anywhere. I’m all for making Auckland better for people, not cars. Making walking/cycling/PT a viable option for people to live without a car. But who is benefiting most from this change? People who can afford to live in the areas where the investments are being made. People who know who to complain to and who to lobby and how to lobby in the first place and have the luxury of spare time to lobby. Most the poor people I know can’t afford the time and money to use public transport, they use a car. Phil presents a very logical case on why the current system is delivering high costs of living and why investment into great PT won’t help at all. I am a planner, but have a passion for transport. Not 100% on where the opportunities are to ‘transfer’ into the transport sector, but my eyes are certainly open for the chance! public transport in Auckland is an after thought that some forgot to finish. cycles? 25% ( north shore) of the population cant cycle across to the city.